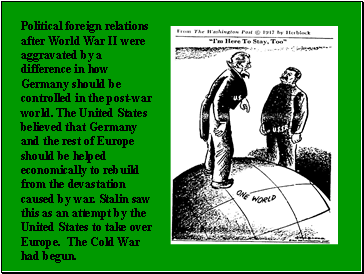 Political foreign relations after World War II were aggravated by a difference in how Germany should be controlled in the post-war world. 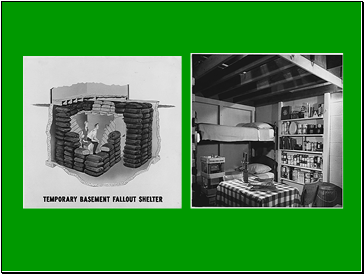 The United States believed that Germany and the rest of Europe should be helped economically to rebuild from the devastation caused by war. 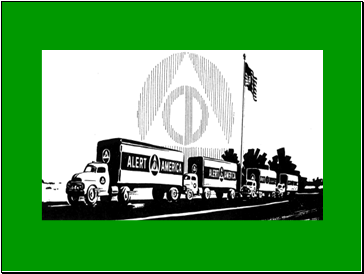 Stalin saw this as an attempt by the United States to take over Europe. 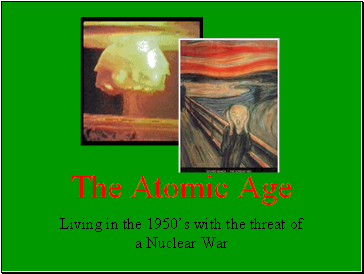 The Cold War had begun. 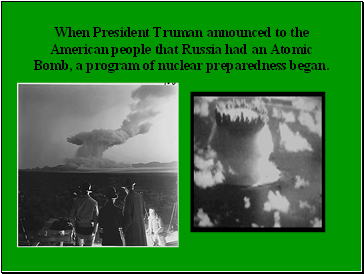 When President Truman announced to the American people that Russia had an Atomic Bomb, a program of nuclear preparedness began. 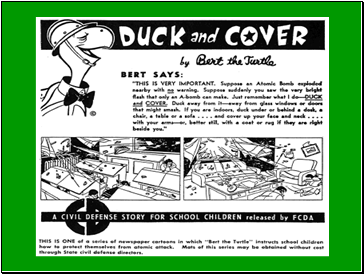 Many cities formulated defense plans. 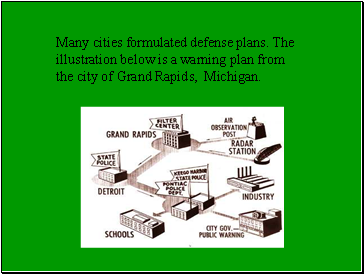 The illustration below is a warning plan from the city of Grand Rapids, Michigan. 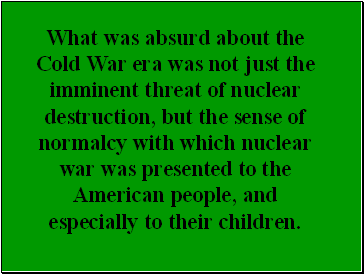 What was absurd about the Cold War era was not just the imminent threat of nuclear destruction, but the sense of normalcy with which nuclear war was presented to the American people, and especially to their children. 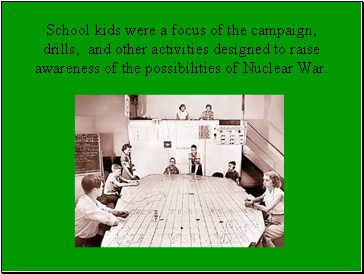 School kids were a focus of the campaign, drills, and other activities designed to raise awareness of the possibilities of Nuclear War. 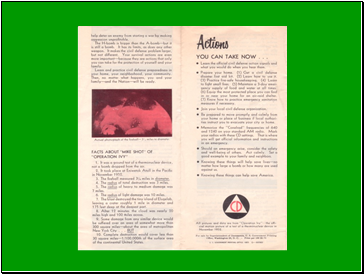 Student awareness groups were very popular. 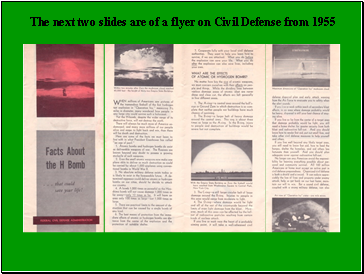 Many held Civil Defense fairs to pass out flyers on Nuclear preparedness. 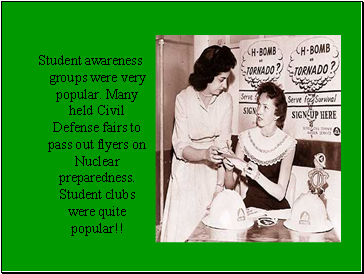 Student clubs were quite popular!! 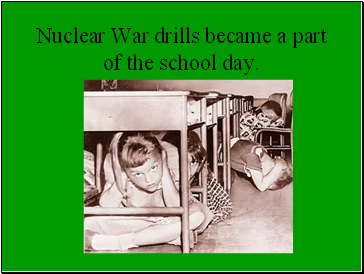 Nuclear War drills became a part of the school day. 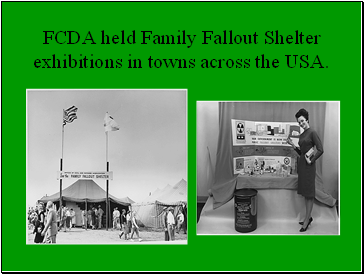 FCDA held Family Fallout Shelter exhibitions in towns across the USA. 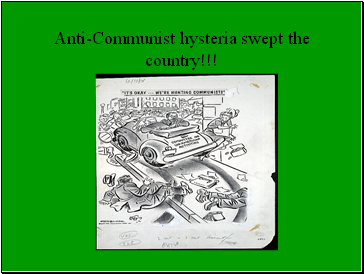 Anti-Communist hysteria swept the country!! !